The PMC community includes PMC riders, volunteers, virtual riders, sponsors, donors and all who support the PMC mission of raising money for Dana-Farber Cancer Institute. Whether you donate to a PMC rider, ride in the PMC Winter Cycle or participate in a PMC Kids Ride, every member of the PMC community is bringing us closer by the mile. Deadline to Register for PMC, Cancel Your Ride, Change Your Logistics, etc. Volunteers are needed for rider and volunteer registration packing. Help is needed July 22, 23 and 24, from 10 am to 3 pm or 3 to 8 pm each day. 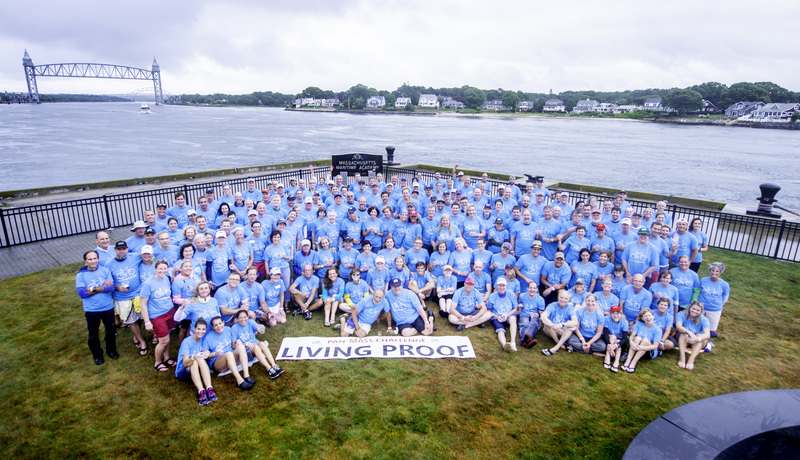 The PMC Living Proof® community is made up of riders and volunteers who are undergoing cancer treatment or were previously treated – Living Proof of the progress made in supporting cancer research and treatment. Living Proof riders and volunteers are celebrated during PMC weekend at Mass Maritime Academy in Bourne on Saturday and at Babson College in Wellesley on Sunday. In 2018, 901 Living Proof riders and volunteers participated in the PMC. The PMC Pedal Partner Program pairs pediatric cancer patients (Pedal Partners) at the Jimmy Fund with PMC riders and teams. 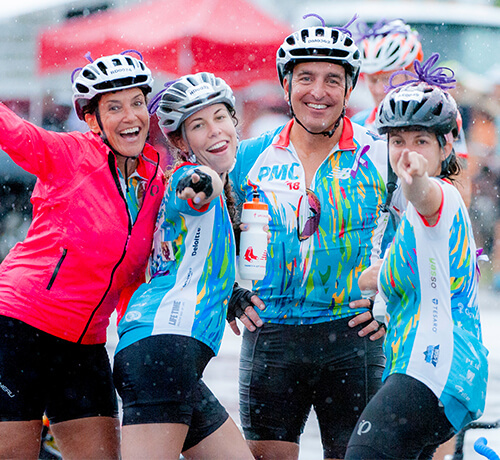 The program offers an inspiring opportunity for PMC riders to connect with their Pedal Partners who get to be part of the PMC while they are being treated for cancer. The Lakeville waterstop along the Sturbridge and Wellesley Saturday routes of the PMC is designated as the PMC Pedal Partner waterstop. 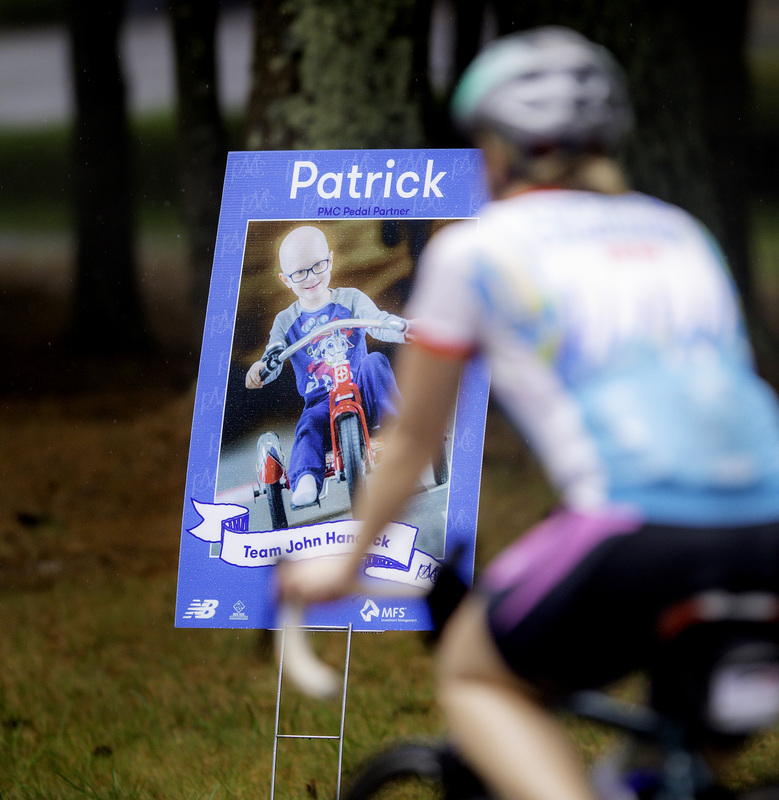 Posters of the Pedal Partners line the road into the waterstop where the children and their families are waiting to greet and cheer on the PMC riders who are riding in their honor. The PMC encourages teams to build relationships with the families, though each relationship between the families and teams varies, depending on the level of involvement the teams and families want, the health of the Pedal Partners, and other factors. Children participating in the Pedal Partner Program must be current or recent patients at Dana-Farber Cancer Institute’s Jimmy Fund Clinic. Every effort is made to match all interested PMC riders and Jimmy Fund patients in the program, but there is a deadline in place so that all Pedal Partners are able to participate in the PMC’s Pedal Partner events, which begin in May. Dana-Farber, one of the world's premier cancer centers, is committed to providing total care, meeting both your physical and psychosocial needs. Listed above are a few ways to make an appointment to consult with one of the DFCI teams of care providers. For adult patients, please call. For pediatric patients, please call. If you would like to consult with one of our physicians, but are unable to come to Boston, please consider our Online Specialty Consultations service.